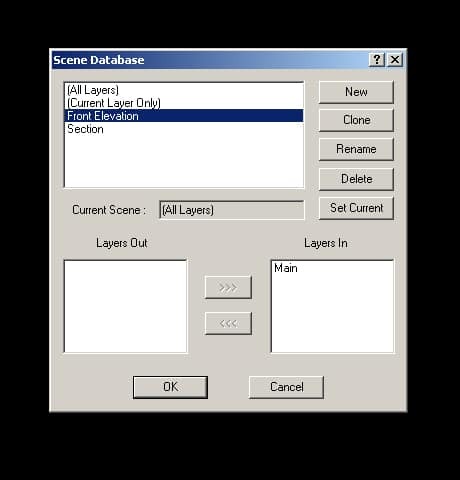 Basically, the Scenes tool is like layer management, and is used to put together groups of layers for different functions. For example, when I am putting together a set of presentation drawings, I will have different scenes set up to control the look of views like longitudinal section, front elevation, and other views I feel are necessary for the drawing. Being an AutoCAD user, layers are something that I use quite frequently, and my drawings are always divided so tightly into layers that managing a drawing is easy. I typically draft with notes and items spread across all three axes – X, Y, and Z – that I need a way to quickly turn off certain layers to have custom views. Check it out – try setting up some different scenes and find your own functionality with the tool. CAST Software Has A Blog! Super Bowl Halftime Show – Starring The Who, and THE LIGHTING!